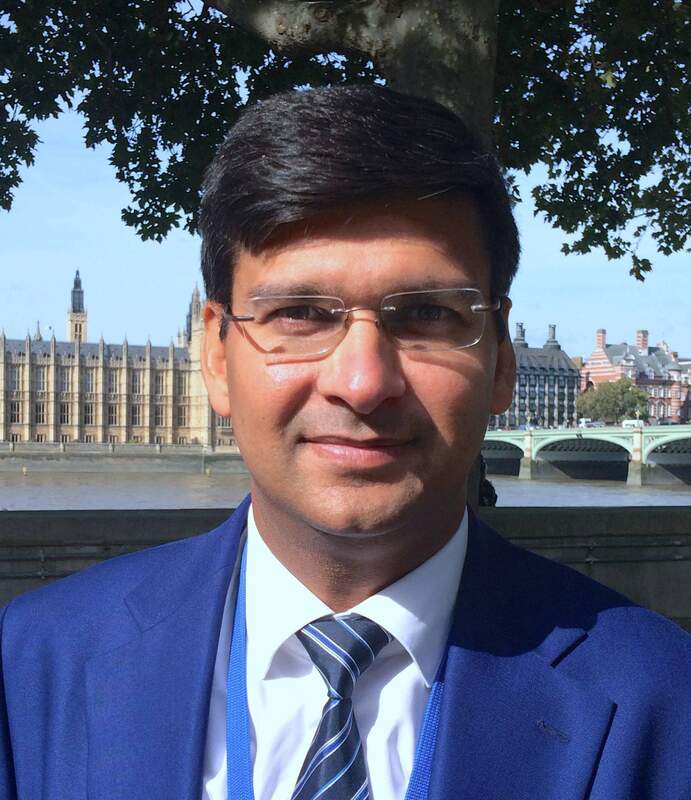 Mr Saurabh Goyal is a consultant eye surgeon in London and Kent, based at St. Thomas’ Hospital, London and an honorary lecturer at King’s College London. He is a specialist in glaucoma and cataract surgery with expertise in all aspects of glaucoma treatment including lasers and surgery. He also provides a bespoke cataract surgery service with premium lenses including multifocal and toric IOLs. With over 20 years of experience in ophthalmology, Saurabh is passionate about the care he provides to his patients. He believes that the vast majority of glaucoma related blindness can be prevented by early diagnosis and effective management. Saurabh is an expert glaucoma trainer. He is regularly involved in teaching and training other ophthalmologists and clinicians in the diagnosis and management of glaucoma. He jointly runs a trabeculectomy surgery wetlab at the Alcon training centre to teach young ophthalmologists about glaucoma surgery. He also teaches at the annual St. Thomas’ laser course. Saurabh regularly lectures and examines optometry students at the City University, London in the diagnosis and management of glaucoma. Saurabh has over a dozen publications in national and international publications, more than 30 presentations in national and international conferences and has written two book chapters on glaucoma surgery and corneal & external eye diseases. Saurabh’s research interests include early detection of glaucoma, laser and surgery in glaucoma, and he is the principle investigator in a number of glaucoma research studies. He is an invited reviewer for the Journal of Glaucoma, British Journal of Ophthalmology and Journal of Ophthalmology.